Opportunities to explore and practise these skills will be provided through the L2L course and within all lessons. A series of assignments in the form of small challenges and tasks will provide a structure and progression through bronze, silver and gold levels will be made during the course of Key Stage 3. I’m grateful that the Digital Explorers project has been incorporated within the Skills programme, thereby raising its profile and hopefully ensuring more students undertake Digital Expeditions. Currently we’re working on the framework within which all of this will sit. 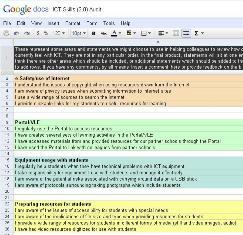 There’s the repository of challenges, mechanisms for monitoring progress (both student personal view and teacher overview) and providing feedback, an awarding system through which achievement of a level can be ratified and communication channels through which students can seek guidance from their L2L teacher and support from their form tutor (and each other?). 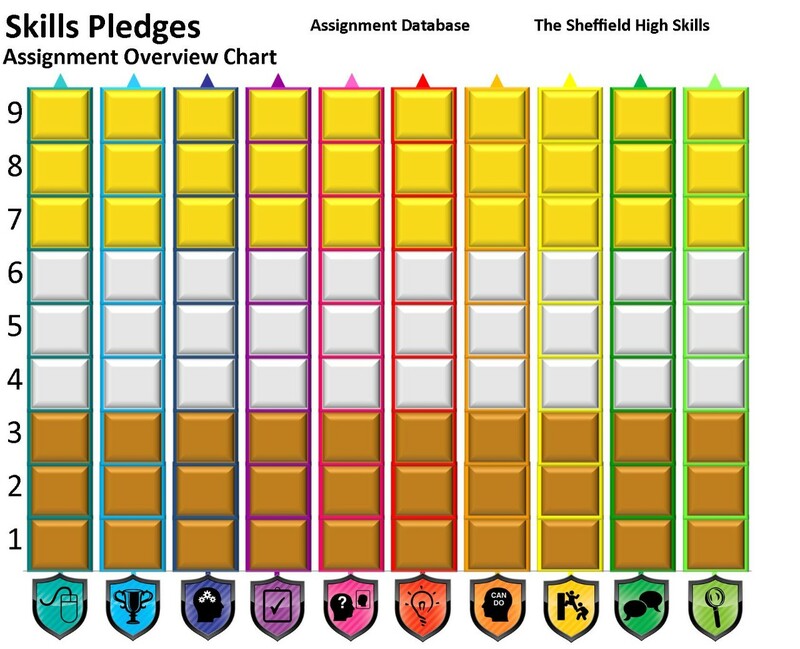 Once we would perhaps have done this through a single interface – a Skills Pledges booklet. Useful though that single point of entry might be, it does of course have downsides: only a single viewer/editor at any point in time, can be in the wrong place when needed, potential for loss (esp. over three years). So delivering these needs by digital means is what’s been challenging us. You’ll perhaps not be surprised to learn that one tool/application to deliver all of that has proven rather elusive, so we’ve explored a range of options to cover different aspects. A database to contain and manage the ninety (or more) assignments or a list in our SharePoint Portal? Edmodo to manage the communications and recognise completion with its badging option … and maybe deliver the assignments too? An interactive image to provide a visual representation of the programme and offer introductions to the assignments – java-based? Image Mapper? 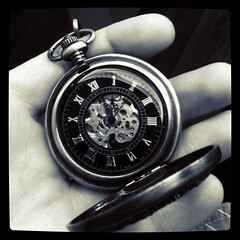 Thinglink? So in the end we’ll settle for a combination of tools; a compromise yes, but only to be expected when you’re forging ahead with something new. Learning today happens everywhere. 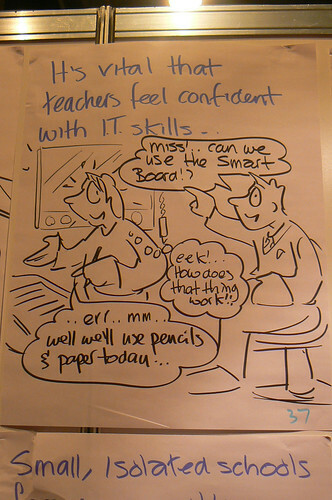 But it’s often difficult to get recognition for skills and achievements that happen online or out of school. 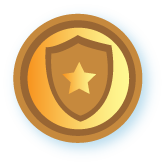 Mozilla Open Badges helps solve that problem, making it easy for any organization to issue, manage and display digital badges across the web. During early 2013 we should have access to the results of the projects from the DML Open Badge Competition 2012 winners and maybe, just maybe there’ll be something to emerge which aligns with our Key Skills programme. Ideally it would help deliver the assignments, monitor progress, enable feedback, make awards and display them for varying audiences in varying ways. So we’re not asking for much really.